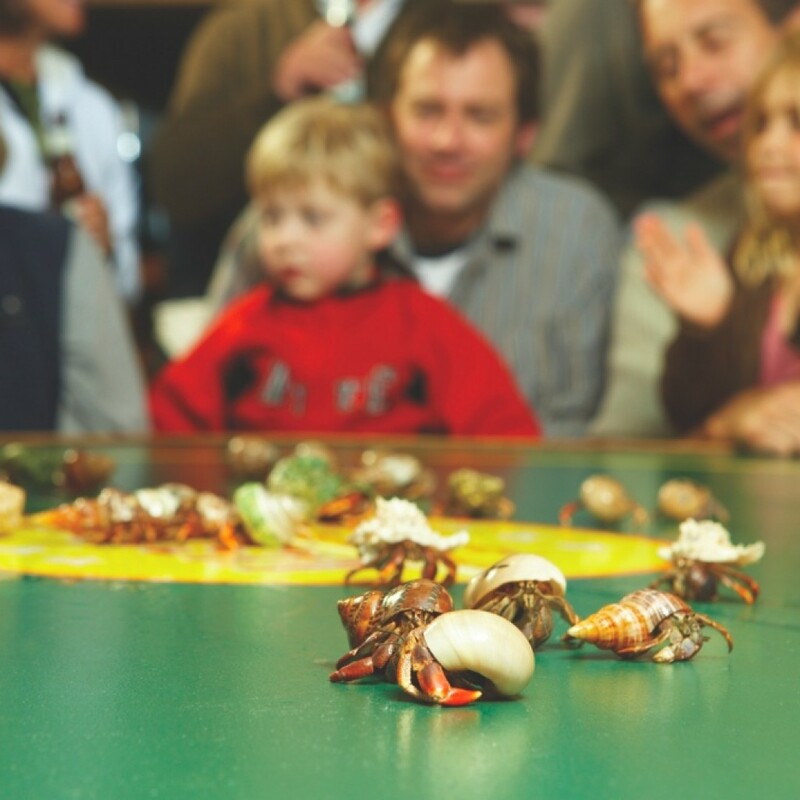 Honestly, my kids are not enthusiastic about many things, but there is ONE thing in particular that gets them excited every time—the Captiva Crab Races. Choosing the right crab from the bowl is tricky! You want one that will leave the other hermits in the dust, so don’t let the sleepers fool you. After all, there are awesome prizes at stake. You can win goodies like a Captiva Crab Races t-shirt, the ever-popular kazoo, and cash. Once everyone is signed up, the qualifying races begin. Your host, Commissioner Tim, sounds the kazoo, lifts the custom crab starting gate (a wire basket), fires his trusty squirt gun, and they’re off!! You will be on the edge of your seat cheering! During the crab races, the full menu is not available, but you will find items like pizza, pasta and chicken fingers. There will be something to please most everyone. The Crab Races at ‘Tween Waters Inn have been a tradition for 25 years and have raised over $180,000 for charity. Commissioner Tim will tell you, “It’s the stupidest thing you’ve ever seen,” but I bet you laugh. And Stinky Britches came in 3rd place –we donated the winnings and kept the t-shirt! Innsider Tip: Arrive early! During season, get there at 5pm to secure a table and start the crab registration process. A quick thank you to my friend, Lauren Tjaden and her husband Paul, for the video. My kids LOVE the Captiva Crab Races. Come early for a seat.